Discover and explore the physics in your own movements. 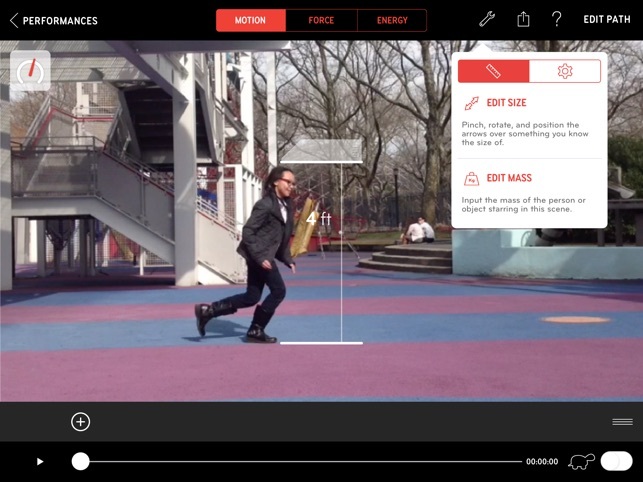 Record a video of you or your friends, tap points along the way to trace a path of motion, and discover the motion, forces, and energy involved. Educators can make Newton’s Laws of motion come alive with an app that was named one of Fast Company’s Top 10 mobile apps of 2014! Sign up for a free account to access lesson plans, inspirations, and join a community of educators making inspiring learning experiences with Noticing Tools. * Record a video of a performance or choose a stock video. * Tap points along the video to trace a path of motion. * Enter known measurements (height of an object, mass of the object being tracked) in English or metric units to reveal accurate data of your performance. * Explore interactive, scrubbable graphs synchronized to the video playback. Graphs display the distance traveled and speed in along the path and in horizontal and vertical vectors. * Explore how distance, speed, and direction changes when things move. * Understand how a person's or object's potential and kinetic energy change as they move. 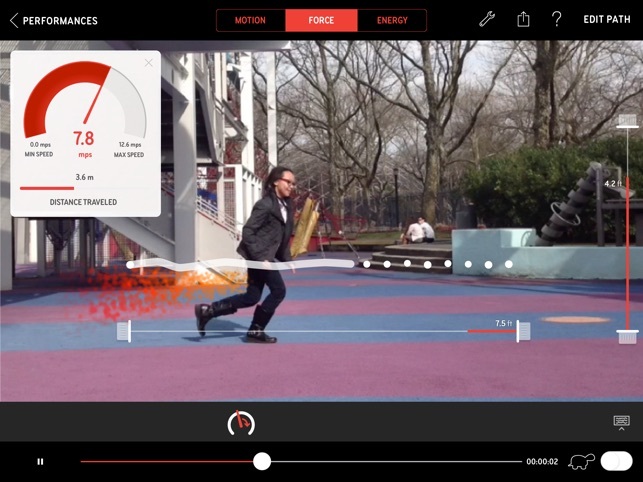 * Save your projects as videos with data overlays. Ideal for middle and high school school science classrooms, Playground Physics and accompanying curriculum activities are aligned to and embody the Next Generation Science Standards (NGSS) by integrating core ideas, scientific practices, cross-cutting concepts, and delight! 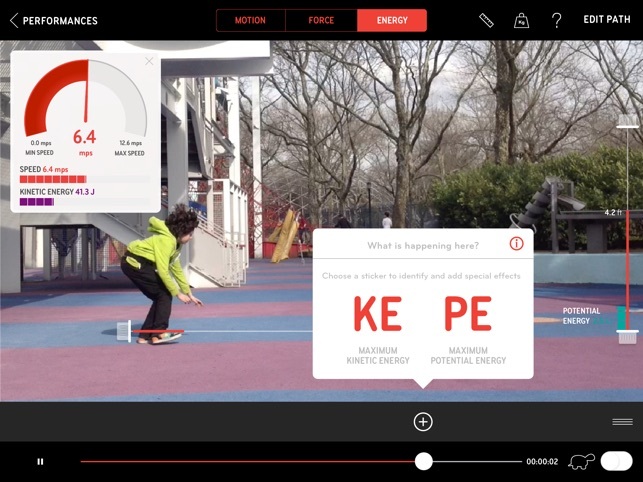 Playground Physics is one of five Noticing Tools (TM) from the New York Hall of Science. The full suite includes Choreo Graph, Fraction Mash, Size Wise, and Volumize. Professional athletes have all kinds of fancy performance-analysis equipment at their disposal, but what if you’re just a kid who likes to run, jump, swing, and skateboard? 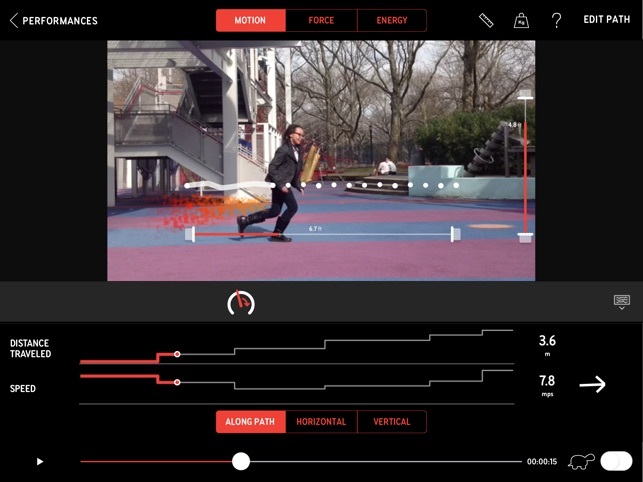 This fascinating app lets you take videos of people at play and calculate the speed, force, and energy of their movements—just by tracing lines on the screen. It’s a wonderfully engaging way to get kids interested in physics fundamentals, and no multimillion-dollar sports contracts are required. 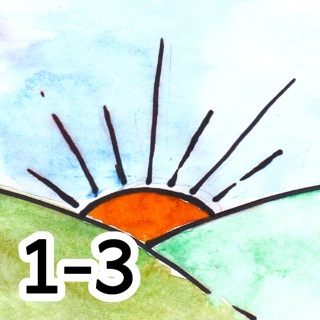 I've been searching for an app that my students can use more accurately time motion of falling objects and rolling objects, and pendulum motion. 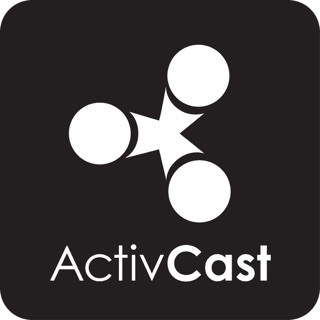 This is simple to use,quick to learn, and even gives average velocity between multiple points on a video. Cool speedometer on screen, and on screen graph of speed between multiple point. A long way to go to get to Useful. 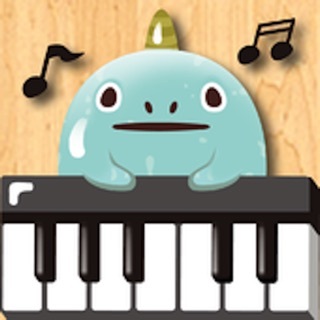 This app has the feel of a hastily put together, half-formed thought. Tagging the position of an object in a video is crazy imprecise... the position marker is large, making it difficult to center, and there's no algorithm or tool to keep the marker on-target. This results in a jagged path, and because of this no single piece of data is accurate or useful. In addition, you get values for instants in time, but you do not get graphs of position, velocity, acceleration... no vectors... I teach physics, and I can honestly find no place in my classroom for this app. I am not sure at all to whom they are marketing this app. Requires iOS 8.1 or later. Compatible with iPad.